Your living room is one of the most important rooms in the home. It is somewhere that is meant to provide you with relaxation and entertainment. After all, when you get in from a difficult day at work, there is nothing better than slouching down in front of the television and catching up on your favourite show. However, you need to make sure your living room gives you an enjoyable base to do so. With that in mind, read on to discover some must-read living room style tips. Get the layout right – There is only one place to begin, and this is with getting the layout right in your living room. In order to maximise your floor space, you need to carefully consider the shape and size of your living room. For example, if you have a long living room, you should make sure you break up the space as effectively as possible, otherwise, it can end up feeling like you are simply sitting in an empty corridor. Choose comfortable, stylish flooring – You need flooring that makes a design statement while also providing comfort underfoot. You can go for flooring that is bold, for example, a printed carpet, or you could choose something more classic, like solid neutral flooring. Either way, make sure it in keeps with the rest of the room. Light your living room with different sources – Lighting is pivotal in any room in the home, and your living area is no exception. After all, are you really going to be able to relax after work if the only source of light you have is a harsh overhead? You need to make sure there are multiple light sources, from reading lights to a floor lamp. This will ensure you can create the right mood for the time of day and the activity you are partaking in. A light dimmer will also come in useful. Accessorise with care – Accessories make a big difference in any room because they provide the perfect finishing touch. 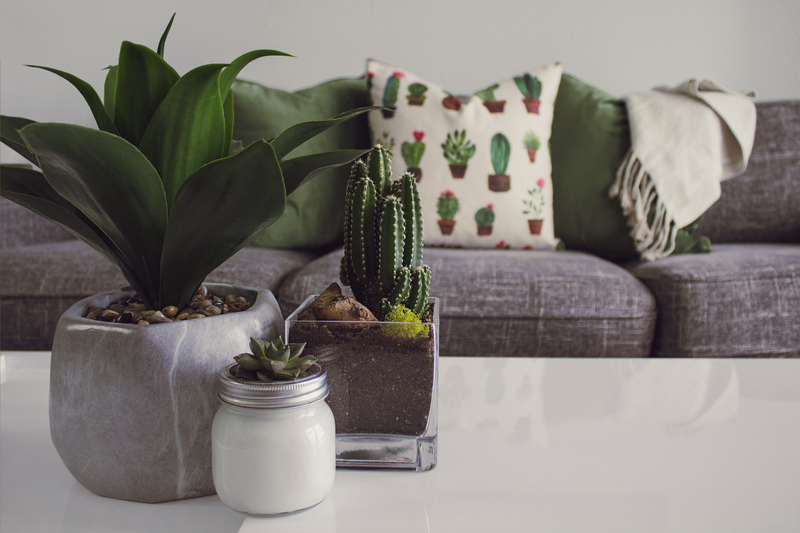 Instead of cluttering up your living room space with lots of little accessories, it is better to go for statement accessories that will make a big difference. From a large glamorous mirror to a piece of dramatic artwork, big and striking accessories make a massive difference. Arrange furniture for conversation – A living room is a gathering space. Promote interaction and conversation with your choice of layout and design. Seating pieces should face each other, creating an intimate yet comfortable feeling. As you can see, there are a number of different ways that you can boost the style of your living room. From focusing on the layout to accessorising with care, follow the design tips and principles mentioned above, and you should notice a significant difference when it comes to overall look and feel of your living room. To Extend or to Move? Which is Better? It’s Time Your Business Got Into The Big Leagues. Are You Making The Most of the Space in Your Home?